Home Judging a Book by Its Cover FRIDAY! The Return of PowerPoint Karaoke! FRIDAY! The Return of PowerPoint Karaoke! This upcoming Friday (January 15th), PowerPoint Karaoke returns to life at the Fantasy Flight Games Center in Roseville! Join us for laughter and nerdery as we huddle together for warmth in middle of the bleak midwinter! And, in case that’s not enough for you, we’re also doing a few rounds of Judging a Book by Its Cover, just as a bonus! You get two shows for the price of one! And this time, we’re using GAME ART! What it is: Four improv comedians must each give a PowerPoint presentation with slides they have never seen before. I’ll be slinging the slides, baby! What it is: Comedy duos are presented with crazy game box art, and then have five minutes to tell you about the game. I bring the images, my cohorts bring the funny! If you do the Facebook thing, you can RSVP to the event here. 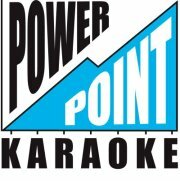 Friday Feb 12th: PowerPoint Karaoke with Double-Blind Improv!